Unified Contact Center Reporting: What is a Call Center Wallboard? The other day someone asked me for a call center wallboard. I asked them which kind of wallboard do you want? The customer was confused as he assumed there was only one kind. 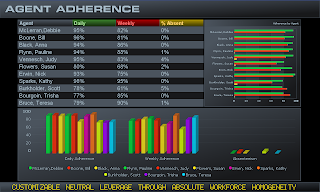 Here is some information on the two most popular types of call center wallboards. Traditional LED Wallboards: These are the boards that show content in text only, can change colors on thresholds and will run messages on the bottom. They are available from single line of text up to the size of an entire wall. Flat Panel Displays: These are also known as LCD screens or plasma screens. These boards will show content from the same sources as the traditional boards and can show graphs, charts, RSS feeds, images such as jpegs, web content, video, streaming video, television / cable, documents and camera feeds. More effective in changing behavior than a traditional LED wallboard. For the money and if used properly a flat panel display can be a more effective call center tool in improving communications and creating an effective decision making contact center. 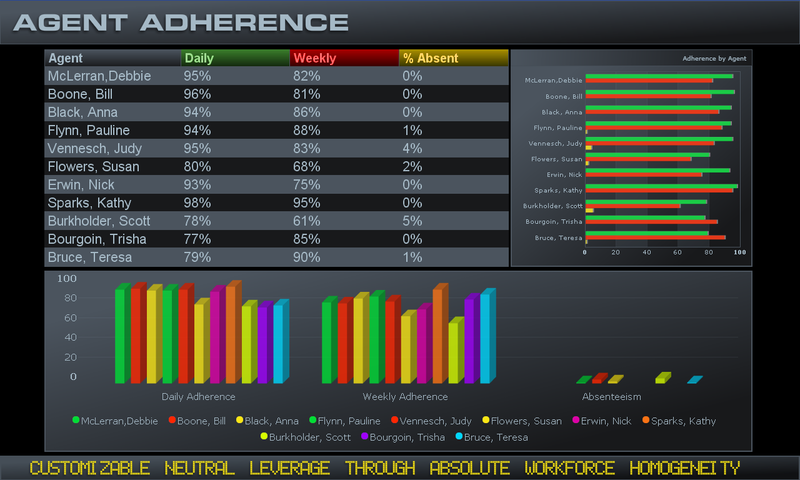 To learn more about Wallboards visit www.specorp.com.